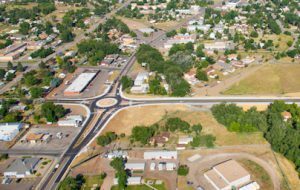 Located in Golden, Colorado, NREL’s Research Road Roundabout won an Engineering News-Record Mountain States’ 2012 Best Projects Award. Baseline had to bring together stakeholders from the public, Pleasant View Park District, Jefferson County and federal government to plan where it would be built. Also, we made the roundabout modular for easy removal and replacement should the high-pressure gas line beneath it need repair. Located in Clear Creek County, Colorado, historic Squaw Pass Road has taken on increased bike traffic. Baseline planned and designed the widening of seven miles of mountainous road. Unique project features included preserving 100-year-old, cobblestone retaining walls and designing new ones to match them.